All 90s child will certainly recognize Alamid and have probably hum their hit song "Your Love" countless times. I remember writing a Filipino translation of this song and sang it in front of our Fil 101 class for a specific project. I can't count how many times I and friends or acquaintances have chosen this song on a videoke machine too. I'm sure others have more romantic stories related to this song like probably singing it for their significant other or someone they're romantically interested with. It's been an anthem for numerous movies and TV shows as well. We can consider it a timeless piece as even the newer generation of music lovers know this song. So hearing the news about Alamid's vocalist Gary Ignacio succumbing to bone cancer recently is definitely heartbreaking. His love story was even featured in Kapuso Mo Jessica Soho's Valentine's Day episode last February. KMJS mentioned about his battle against cancer during the episode and organized an event to surprise him. Other popular singers during the 90s graced the show. 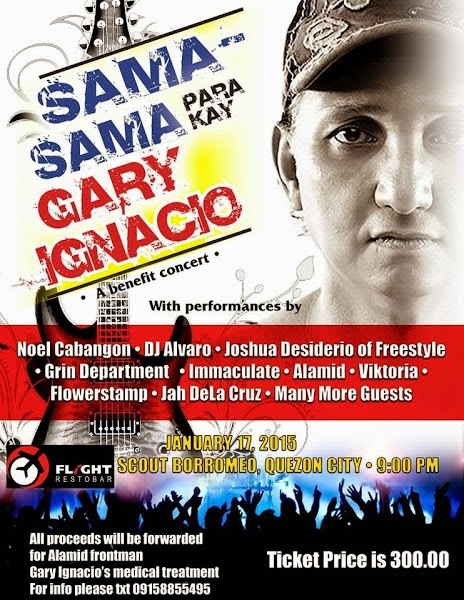 His fellow musicians had even staged a benefit concert last January for his medical expenses. Sadly, cancer is really a treacherous disease and many you probably personally know had lost the fight against this killer sickness. Even popular personalities who are often good people at that are not immune to this deathly illness. For those who would like pay a personal tribute, let me copy this statement from Alamid's Facebook page posted last April 17. In behalf of the Ignacio Family, we would like to announce that our brother. 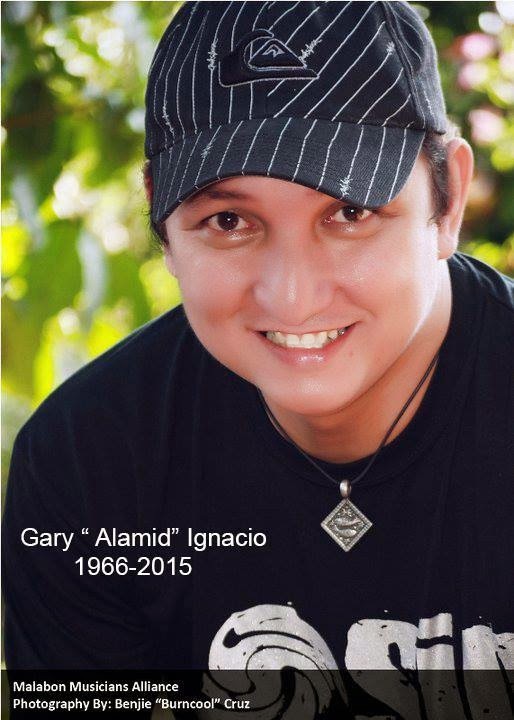 Gary "Alamid" Ignacio, passed away today at exactly 2.50pm at NKTI ICU 5 due to multiple organ failure. Rest in peace Mr. Gary Ignacio. Thank you for "Your Love."